As this is a sequel there may be spoilers! 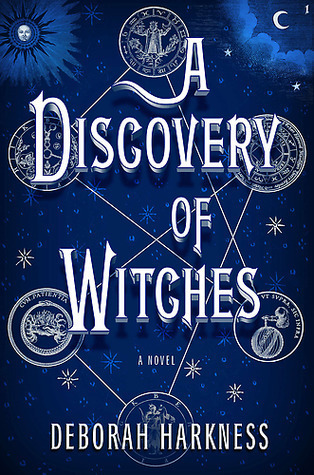 This second book was full of a heightened sense of urgency, of magic, of love, forgiveness, friendship, and more. I honestly enjoyed this sequel more than the first book and I think that it was a really great wrap up to this duology. The plot starts right after the events of the first book after everything has pretty much gone to hell after a magic storm that Jahandar cooked up in order to “save” Shazi. Everything is in ruin and while Khalid works to restore the city and look for Shazi, she’s in a Badawi encampment being kept there for her own safety as well as Khalid’s. It continues to show more of the magic in this world because we got just the barest glimpse of it in the first book, as well as how Shazi’s magic actually works. There is a lot of mystery surrounding several of the characters, and plenty of romance to drink in. I thought that, the plot itself, was a solid one, driving each of the characters into the next course of action that needed to be taken in order to break the curse over Khalid and Khorasan, as well as other opposing forces in the story. I will say, though, that I thought the threat of danger wasn’t as immediate in this book as it was in the first. Yes, there were still threats and still concerns that had to be addressed, but otherwise I thought that it was more of a story of action than of danger. It didn’t take away from the story at all, but there was a difference in tone between the first and second books given the circumstances. OH SNAP. That part made me laugh quite loudly. But aside from that, she still uses her mind and her resources around her to get where she needs to go and do what needs to be done. I thought that her relationship with her sister, though strained at times, was still one that I could see the true love from them in. Shazi really cares for Irsa, even if she doesn’t reveal many things to her because she views Irsa as a child still. Through the many ups and downs and revelations, though, Shazi remains strong and brave. She’s a really amazing heroine, in my opinion. Khalid is just as temperamental as ever, but we get to see a much more human side of him than we have before. We see him helping to rebuild his city and him trying his best to look out for those around him because he doesn’t want to shed any more unnecessary innocent blood. His love for Shazi is beautiful and I loved reading the moments with them together because they so perfectly reflect one another so well. I thought that he was a strong character, like usual, though he fought with a lot more conviction now that he has something to fight for. And we got to see him with some of his military skills, which was pretty strategic and cool. Irsa, I think, was a welcome sigh of relief when it came to this story. As Shazi’s younger sister, you would think she would be a little more headstrong and quick to act, but I felt that she was very mature for her age in some of the ways she acted and how she responded in certain situations. She was very knowledgeable on medicinal herbs and her love for her sister was very strong, though she knew that Shazi would lie to her constantly to protect her. Irsa was a welcome surprise and I thought the interactions between her and Rahim were so adorable. Tariq was just as angry as he was in the last book when it came to him thinking about Khalid, and he acted with a blind heart instead of an open mind on more than one occasion, causing something almost terrible to happen to Shazi. Even though he and Khalid had an altercation, an understanding on Tariq’s part happened and I think that’s when he became a more agreeable character after that. Though he still reacted on pure guts than brains, I thought he did his best in the situations handed to him. Jahandar, I thought, was trying to do so many things for the wrong reasons and I was so mad he seemed to care more about his book than his daughters. He tricked and lied, and he did it with the best intentions, but I think the gift he gave in the end was fitting and right. We didn’t have as much Despina or Jalal at all in this book, which made me very sad because they’re two of my favorites, but there was still an interaction with them that made me smile at the end. There was fighting, blood, worry, curses, magic, and more in this book and I thought that it did very well for a conclusion, for sure. And I just want you to know that I ALMOST CRIED at one part – like, there was a tear and everything – because holy carp was it sad and OH THE FEELS. Renee Ahdieh’s writing is very beautiful, just like the last, and will capture you with lush details and exquisite settings, sprinkled with awesome banter. 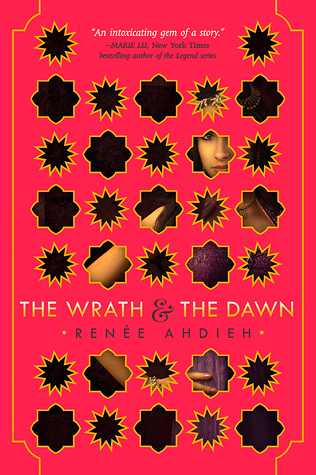 “The Wrath and the Dawn” is a retelling of the classic tale of “A Thousand and One Nights” and in this story it tells about a young caliph – a king – who takes a new wife every day and kills her by the next dawn. No one knows why he does it, but they hate him for it. And it also tells about the brave young girl, Shahrzad, who volunteers to be this caliph’s next bride; but she’s determined to make it to the next sunset, and the one after that, and so on. But there’s some darker secrets that are lying behind this tale of romance, and it weaves an interesting story. I thought this book was both enjoyable and frustrating, but more so enjoyable than frustrating. Shahrzad (aka Shazi), our leading lady, is a stubborn, strong willed, fierce young woman of sixteen who has a silver-tongue and a quick mind. She’s very fiesty in many parts of the book and I really enjoyed that about her personality; that she wouldn’t just sit down and obey whatever was dished out to her. But I also felt like that was a flaw at some points because her stubborn head could possibly get her into trouble or even killed. I did think that her being on a warpath for revenge was kind of annoying at times, but that may be because I sort of knew how the book would progress? I did think that she gave in too easily at the end and that she lost some of her flare (like seriously, I wanted to slap her for just going along with the plan and not putting up more of a fight). She’s still a strong main heroine and I thought as she got to know Khalid more the more she opened up and her personality really started to shine. 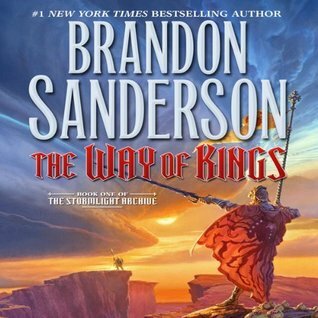 Khalid is the caliph of Khorazan, the King of Kings, in this book and I thought he was very… well, interesting. I thought because of his quiet demeanor that he’d be kind of boring, but I found that I was just as entranced by him as Shazi was throughout the book. He was fiercely protective and very quiet, but wise. I thought that he didn’t really overreact in any situation, but I was confused at the end as to what happened and whether or not he knew what was going to happen… I thought that the fact that the relationship between him and Shazi developed in such a strange and tense way was kind of refreshing. I also appreciate that he appreciates honesty above all else given his past. Despina was a fireball when we saw her and I was surprised she was able to say so much in free reign without being chastised for it. She was the kind of friend who wasn’t afraid to tell you the truth, but would still do anything to protect you from being hurt. I wish we had seen more of her, but I also know that the story was more about the relationship and romance. Jalal is Khalid’s smooth talking charmer of a cousin who is also Captain of the Guard for the palace. He’s kind of the bad boy of the story, but he’s not mean or anything, just teasing and joking all the time. He can be serious when he needs to be, but sometimes it can be hard to distinguish those moments. Tariq is Shazi’s first love, and as such I could understand why he wanted to save her and all of that, and I believe he had good intentions at the beginning. But as the story continued to progress and things just kind of escalated over time, I was extremely frustrated with him at the end because he was being a possessive idiot and not letting Shahrzad get in any words. I hope I’m not the only one who felt that way. Now we met some other characters who I’m sure will play a much larger role in the next book, but as of right now I’m not very fond of those characters because I know there are schemes behind them. Some characters I do like, but others, not so much. As for the plot, I enjoyed it. I really thought that it was interesting to see a girl go in with this plan for vengeance for her best friend, and discover that she is falling in love with a supposed monster. I couldn’t help but feel for Khalid and how things happened to him and why things are the way they are and just… Oh, he really isn’t that bad. I was annoyed at times with how things progressed or what was thought or said, but I think that was mostly because I knew the other side of the story. This book included multiple points of view from Shahrzad, Tariq, Khalid, Jahandar (Shazi’s dad), among a couple others. It wasn’t really hard to discern who was speaking because it was often told right from the first word or paragraph of that section. I enjoyed the progression of the romance and was so happy to see that even though all the hateful feelings Shazi had toward Khalid that she could really sympathize with him and to really just see the progression… well, it was lovely. I honestly don’t even know how it happened, but it did. I’m anticipating reading the next book because now I need to know a few things and what happens next. I gave this book a 4/5 stars and highly recommend it.